A Beaufort-based heating and air conditioning sales and service company, we are managed by a team of professionals with years of experience in the heating and air conditioning industry. All of our technicians also have an educational background in mechanical engineering, and a dedication to comfort & satisfaction. We guarantee honesty, quality, dependability and excellence in every aspect of our business. 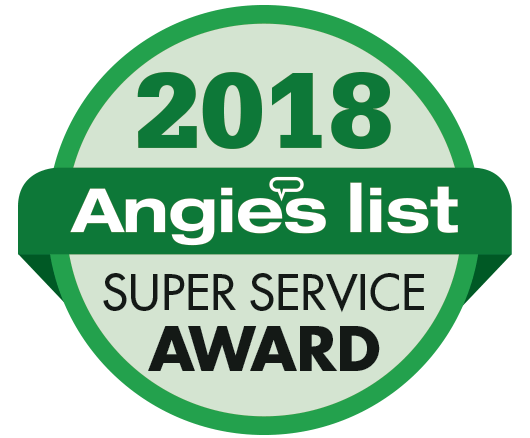 From heating and cooling system installations and HVAC maintenance services to customer relationships, we strive to be the best in the industry. Is your air conditioner not working properly? Don’t sweat it! Our expert technicians are fully licensed and insured, ready to perform any and all AC repairs quickly, and more importantly, to your satisfaction. Don’t get left out in the cold! Heating and furnace repairs are our specialty. We’re qualified to perform repairs on any heating systems and will find a solution to your heating problems. Our technicians are ready to hit the road any day of the week to serve our valued customers. The moment you are having a heating or air conditioning issue, just pick up the phone and give Beaufort Heating and Air a call. Get the most out of your HVAC system with one-time maintenance, or take advantage of one of our affordable HVAC maintenance plans to make sure your system remains in perfect shape. No more costly and untimely repairs! If you’re tired of calling technicians for frequent repairs, have a system that is more than 12 years old, or just want to take advantage of the industry’s latest heating and cooling technology, consider getting a new unit. You might be surprised how much you can save on energy bills and repair costs alone! Your indoor air can become polluted with dust and other allergens if your unit isn’t regularly maintained and cleaned. Enjoy a healthy home by getting a complete inspection and duct cleaning. Now Serving You, in Your Area. We serve Beaufort, SC with quick and affordable HVAC service. When your AC breaks down, makes loud noises, or is not cooling your home efficiently, give us a call! We’ll have a technician at your door in no time to fix the problem and restore comfort to your home. We offer full HVAC services to our valued Lady’s Island customers. From a quick diagnostic and tune-up, to timely repairs, to a complete HVAC replacement, we’ve got you covered. Just pick up the phone and we’ll be on the way to serve you. We serve Bluffton, SC with timely and affordable service including AC and heating repair, new equipment installation, and maintenance services. As soon as you experience trouble with your system, just reach out to us and rest easy knowing a qualified technician is headed your way to address your needs. Our technicians will arrive on time with all the tools and equipment necessary to get the job done. For over 30 years we've built our business on honesty and building valued customer relationships. We give you the price up front, with no gimmicks before we perform any work. When we conduct AC repairs and installations, we leave your home the way we found it. If it weren't for the improved comfort and air quality, you wouldn't even know we were there! We provide a 100% guarantee on all our parts, equipment, and workmanship. In the unlikely event that you experience trouble with your new or repaired unit, we'll come back out and take care of it at no cost. As Beaufort's premier HVAC provider, we are here to help you. If you would like a free quote or have any questions about the services we provide, don't hesitate to give us a call.